Over the years, countless apps and methods have surfaced for bypassing YouTube's restrictions and downloading YouTube videos to your iPhone's media library. Google quickly strikes them down, so they never lasted long. You can still sideload apps like YouTube++, but that's risky since you'll be missing out on the App Store's protections from spam and platform misuse. A safer way to save YouTube videos to your "Camera Roll" and "Videos" albums is to use a shortcut in the Shortcuts app to hook onto YouTube's own API, so you get the video right from the source. It's also likely to work for a long time unlike those shady apps of yore. Of course, by using a shortcut to download YouTube videos onto your iPhone, you won't be helping the platform. Most of all, you'll just hurt the creators you watch. If you want or need to view YouTube content on-the-go, we'd still recommend you subscribe to YouTube Premium. Unlike other shortcuts, you won't find this one in the Shortcuts "Gallery" tab. If you don't create this shortcut yourself, you'll need to download it from someone who's already created one. Reddit user Varoeldurr generously shared their version — among other shortcuts — for downloading YouTube videos. Just tap the link on your iPhone, then tap "Get Shortcut" to add it to Shortcuts. If you see its workflow page, tap "Done" to view your shortcuts library. To see what's going on inside your new shortcut, peek-and-pop the shortcut with 3D Touch or tap the ellipsis (•••) in the top-right corner of its tile. But more on how it works later, let's get to using it! Unlike some other shortcuts, you can not get this one working right away from within the Shortcuts app, nor is it useful to add a widget, home screen shortcut, or Siri shortcut. 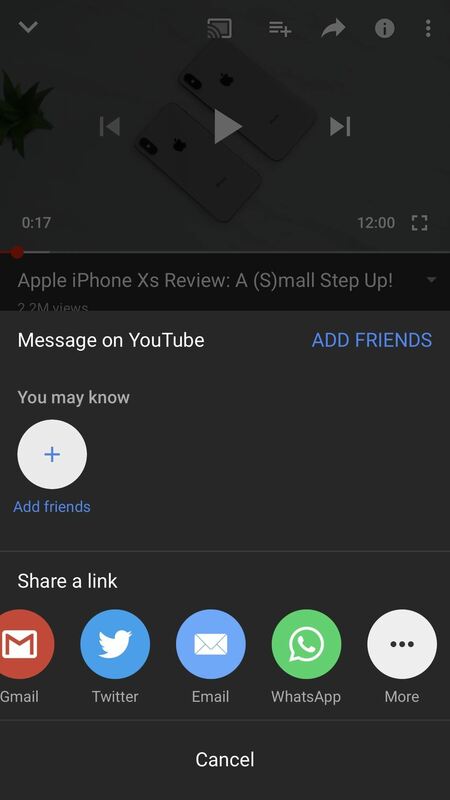 This shortcut will only work when you're currently viewing a YouTube video in the YouTube app or in a web browser, and you'll need to access the share sheet. To get to the share sheet in Safari, YouTube, and other common apps, see the list below. From here, tap "Shortcuts." If you don't see this option, tap "More," then enable "Shortcuts" from the list. 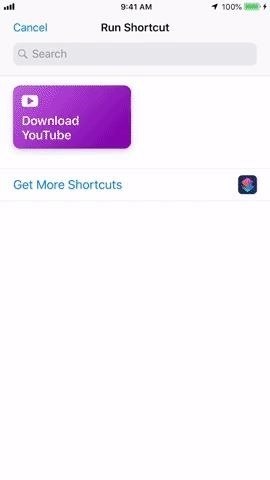 After tapping "Shortcuts," simply tap "Download YouTube" from the Run Shortcut screen to begin the download process. Once you do, you'll see the shortcut in action, mostly as it "Get[s] Contents of URL" (more on this later). 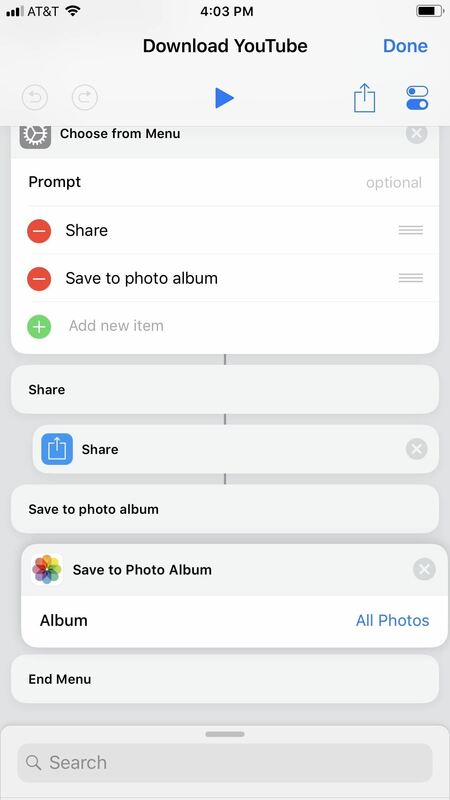 Once finished, you'll have the option to either "Share" it or "Save to photo album." To get the video into your "Camera Roll" album in Photos for later viewing, tap the save option. 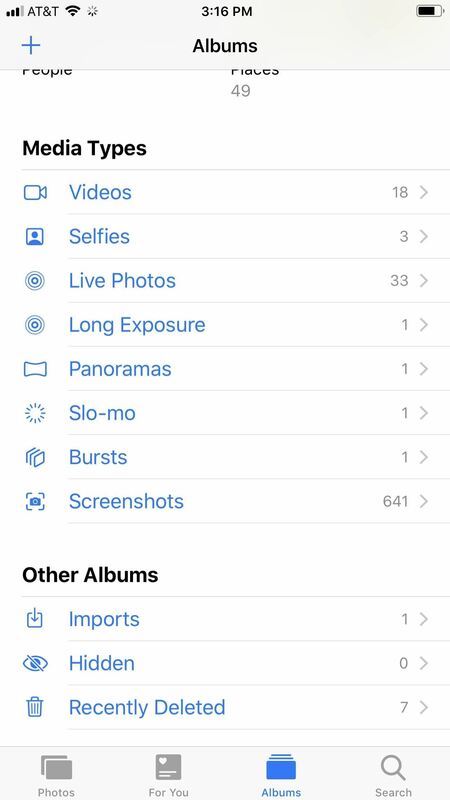 To view the video in your Photos app, just open it up and go to either the "Camera Roll" or "Videos" album. You'll find the YouTube video there, where you edit or share it like any other video in your library. If you're like me, you'll be blown away the first time you run this shortcut. It seems like it runs on magic — downloading a YouTube video in seconds? On an iPhone? How could it be? 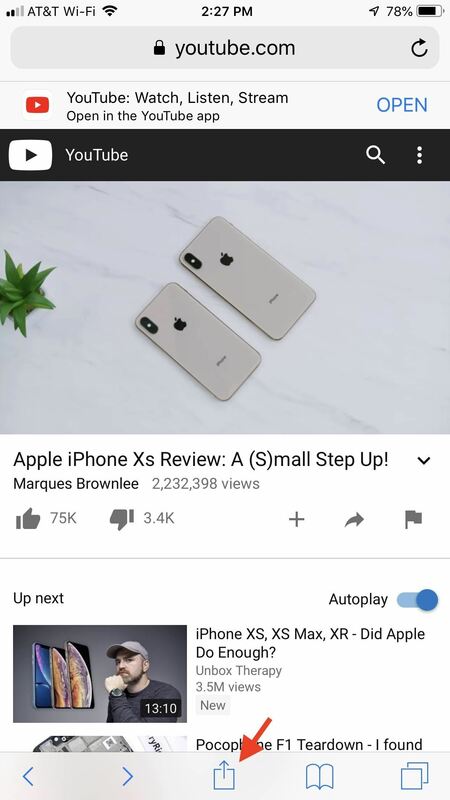 Simply, the shortcut loops through the response data from the YouTube API call — the data produced when loading the YouTube video — to find the download URL in a format compatible with your iPhone. Once it does, it'll download the file, where it then prompts you to save or share the video. You might not have known it, but all the info you needed to download a YouTube video was right there in the URL itself. It just takes some code dissecting to find it. 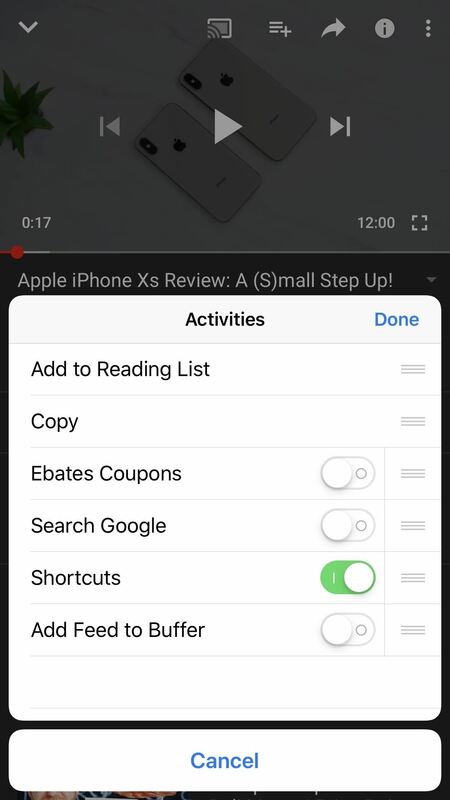 There's not much you can customize with this shortcut besides what album you want the video to end up in. 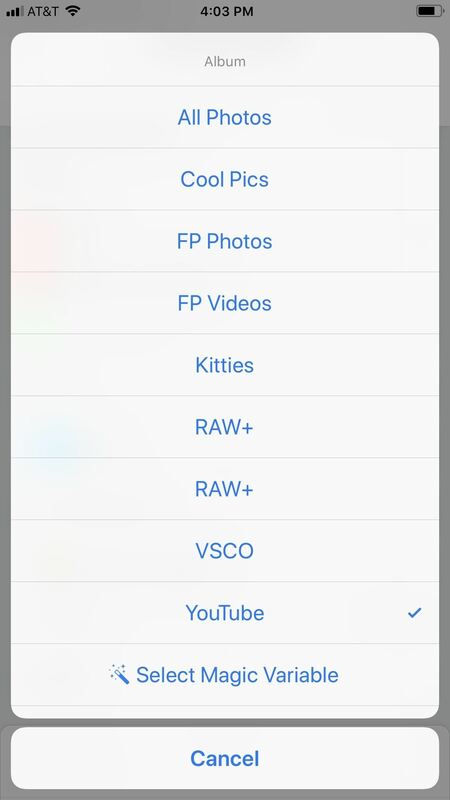 It will always show up in your "Camera Roll" and "Videos" albums, but you can also create a new "YouTube" album in your Photos app, then have this shortcut throw them all in there for more organization. Head to your Shortcuts library and peek-and-pop the "Download YouTube" tile with 3D Touch or tap the ellipsis (•••) in the top-right corner of its tile. From there, scroll down past the big first piece of the workflow — where it looks at the URL of the page you're on, figures out if it's a YouTube video, locates the video file, and prepares it for sharing or saving — then, tap on "Camera Roll" or "All Photos" in the "Save to Photo Album" action down at the bottom. A menu will open where you can choose an album to put the videos in. If you made a "YouTube" album in Photos, select that. If it's another album you want, well, select that. Afterward, tap "Done" in the top right of the workflow to save it. I'm only getting an html file when I try to download a file. Hey, CJ. Sorry to hear that. What app were you using to download the video (Safari, YouTube? ), and what video were you trying to download? It just returns a blank white image to my Photos app. Not sure what I'm doing wrong. Hi, Stephen. Sorry it wasn't working for you! Could you tell me what app were you using to download the video (Safari, YouTube? ), and what video in particular you were trying to download? I just get the blank page, nothing even saved to photos. Save Video From Safari. Passes the video and that's about it. Is this Just clickbait? 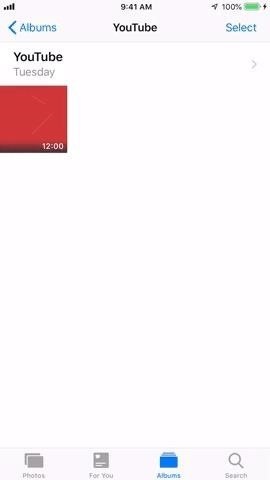 The app Just returns a blank image. I tried loading the whole YouTube clip before sharing and downloading the file but it never works and just returns a blank image in my photos app. Hey, Ale! Not clickbait, I promise — we just tested it ourselves to make sure the shortcut was still working! I'd love to help you figure this out — what app were you using to download the video (Safari, YouTube? ), and what was the video you were trying to download? There are some Youtube clips that cannot be downloaded onto your iPad or iPhone. You can check it first that if there is no "download" button on the right of the "share button" when you open the clip on Youtube app , it means that you cannot download right into your iPad or iPhone as well. Thanks, it did work on few but mostly it did not, returns blank image. I'm only trying to download from YouTube. Does it work on facebook too. Hey, Thiagu. We're getting the same result from that video. However, this method seems to work for other videos from that creator. We're looking into why this works for some videos but not others. Any update on this yet? I'm facing the same issue. If you dig into the shortcut's inner workings you'll notice a list of numbers (22, 18, 34, 35). Those correspond to the youtube itag ids for mp4 videos (which the iPhone supports) in order from highest to lowest quality. Those values come back in response to the call to the get_video_info url along with URLs to where the files can be downloaded (that are unique to the requesting user's IP address). The shortcut asks youtube for info about the video, then uses those ids to prioritize which URL to try to download. It appears that some videos require some additional kind of authentication before it'll let you download them using the URLs returned in that API call, while others don't, which is why some of you are having issues with some videos, but not others. Can you tell us how to fix this? it just says that I need a specified URL and to pass it to the Get Contents of URL. At this point, I'm about to call it quits and forget about this s**. When I put in the URL, it says that there was no URL specified. Help? It didn't work for me either - youtu.be/QnbDIgQLQwI It seems to only work with videos that have ads embedded in them. works great thaks alot, but issues with video quality. So are we just going to get the blank image for some videos? Just have to find s different version in order to be able to save it? Also, does anyone know if I would get in trouble for uploading something I get from YouTube to Vimeo? I prefer Vimeo but they don't have the video I'm looking for which is what brought me to look for a way to do this. Thank for this info. If I can get it to work it's awesome! I'm using the YouTube app btw, I didn't try it through Safari because I read the other comments and it seems that just certain videos won't let you download, is that correct? Thx again! ? I can't get it to do anything when I try from Safari. 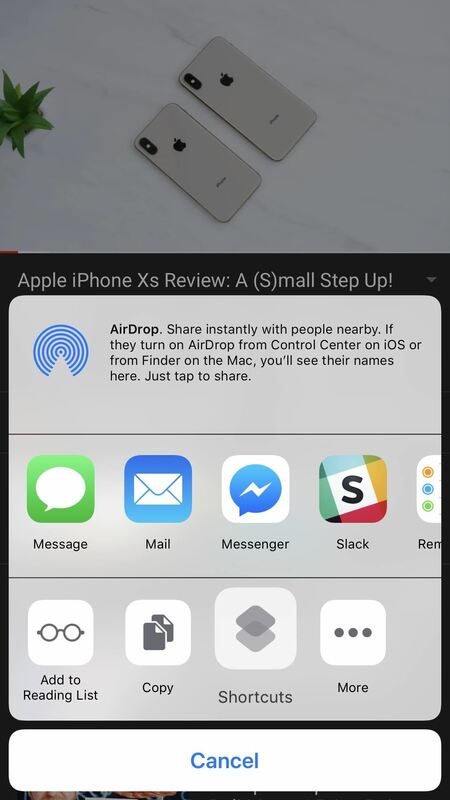 I tried the share option under the video and that didn't give the option for "more", so I tried the share at the bottom of the Safari page and did the shortcut and got nothing. I've tried several versions of the video and I'm not able to get it. Am I doing something wrong? Has anyone found the best input value for videos on msnbc.com, foxnews.com and cnn.com? It seems a little bit complicated, but when you start to do it, things are easy... Hope can help.